Do you have body aches and pains? Are you looking for simple ways to self-care for your body? Adding MELT to your life will help improve your efficiency and performance in your fitness routine, while enhancing daily life by improving your digestion, sleeping, and reducing inflammation, accumulated stress, and chronic pain symptoms. This 60-minute intro class will introduce the MELT hand and foot treatments and allow you to experience how easy it is to create change in your body regarding misalignment, chronic pain, and the negative effects associated with aging. Different from going to a therapist for bodywork, MELT empowers people with simple, self-care tools for long-term wellness. We will explore how to reacquire whole-body balance by directly affecting the cellular hydration of the connective tissue matrix using Hands-Off Bodywork™. Find out the root cause of body aches and experience immediate changes! 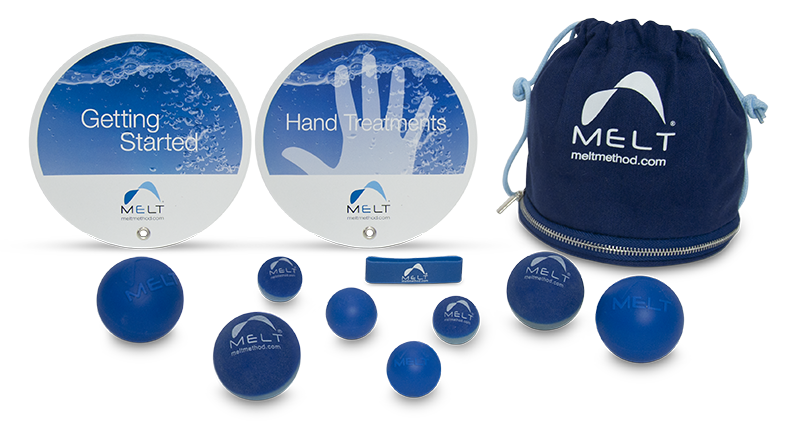 The MELT Hand and Foot Treatment Techniques are easy to learn, and will help you remain active, healthy and pain- free for life! These workshops are offered periodically through out the year on our workshops schedule. If you would like to schedule a private workshop please contact the studio.